Who will be the next generation’s Tony Adams? Will England ever win another World Cup? Who will when the Premiere League crown this year? But today, you must be asking why would a Chelsea fan spotlight a Joe Strummer & The Mescaleros song about an Arsenal football hero? Even though Joe himself, like yours truly, bled Chelsea blue, no matter what team [even a local London rivals like Arsenal], you still must respect their history. Long live the beautiful game and in loving memory of Joe Strummer, devoted Chelsea supporter. Woody, this one’s for you! Conspicuously missing above: Joe was a Chelsea supporter! Thank You! 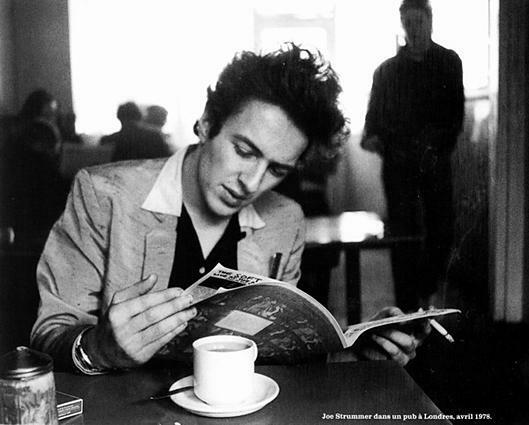 I knew there was another reason I loved Joe Strummer. Chelsea & Joe, eternally will flow!